One of the world’s most successful photographers, Albert Watson is known for graphic, sculptural images that capture the essence of people, places, and things. His has been a career of unparallelled productivity, ranging from fashion to iconic portraits to reportage. His first book, Cyclops, published in 1994, established him as a leading photographic talent who combined a brilliant vision with extreme technical excellence. UFO—which stands for Unified Fashion Objectives—presents a 40-year retrospective of Watson’s best work, pulled from his vast archive. In its pages, a memorable era of style, beauty, fashion, personality, and power is captured for posterity. 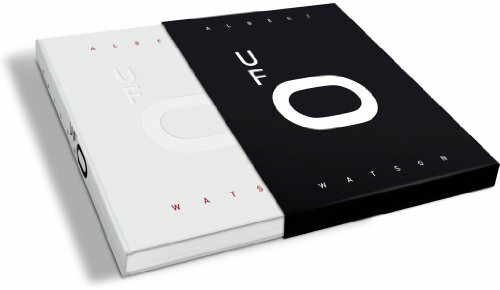 UFO is a landmark publishing event from one of the world’s greatest photographers. A large format book and A 10” x 13” archival pigment print housed in an acrylic glass slipcase. The UFO book features 295 images printed to exacting standards in 7 colors on matt art paper. Each book is bound in fluted wibalin art paper and debossed. It measures 14.6” x 11.4” x 1.1” and is individually numbered and personally signed by Albert Watson. Each limited edition includes an archival pigment print of the client’s choice from 1 of 5, limited to an edition of 100 each. Each archival pigment print is 10 x 13”, and is personally initialled by Albert Watson, stamped and numbered.